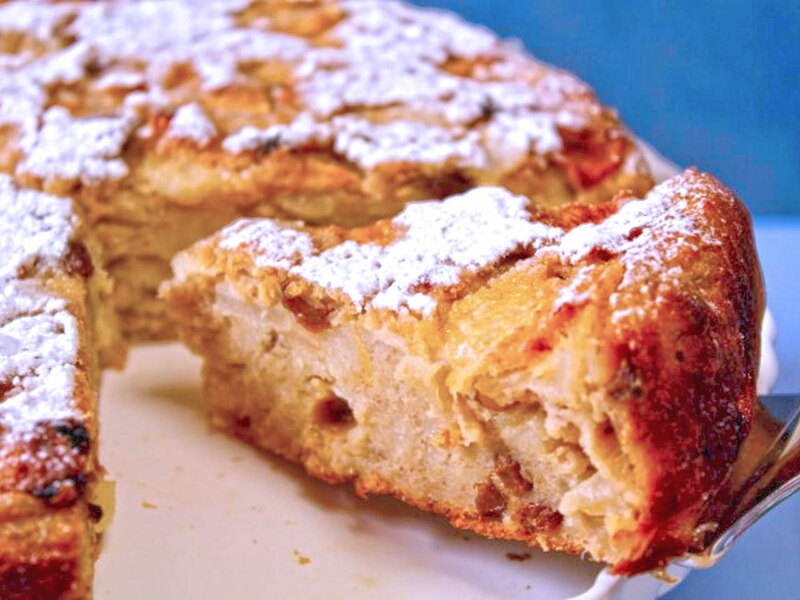 It is thesweet par excellence dish typical of Lake Como and here is the recipe. Butter, salt and rosemary q.b. Mix the bread in a bowl with milk for 30 minutes, then add the diced fruits. Add salt, lemon peel, sugar and 2 flours, then mix all the ingredients and the currants with the egg. In a buttered baking pan pour all the dough and sprinkle with butter, sugar and rosemary leaves. Bake in the oven for an hour at about 180°.